It once was the largest zoo in the Middle East. The Baghdad Zoo had more than 600 animals before the American invasion. In 2001 it had some 1.5 million visitors. 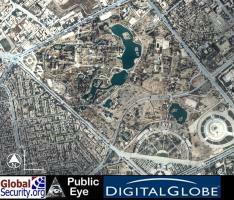 Saddam closed it for renovation in 2002 and it was intended to reopen in April 2003 after a $50 million facelift. During Operation Iraqi Freedom on 19 March 2003 there was fierce fighting between the Iraqi Republican Guard and the 3rd Infantry Division in the area. Mortar rounds and tank released many zoo animals. But the main damage was caused later, when looters came through the zoo and stole all the animals that wouldn't eat them. The exotic birds were probably the first to go. The birds and other exotic animals are probably being smuggled to collectors in Europe or the US. 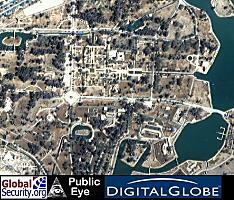 The zoo falls into what is known as the "green" zone, an area that contains most of Saddam Hussein's city palaces and government departments, and which is under heavy US security. 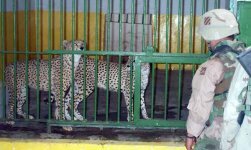 As of May 2003 there were about 50 animals, mostly big cats and other carnivores which had been collected at the Baghdad Zoo from four other collections, one public and three private, which had been identified from around the city. American civil affairs soldiers and engineers are helping rebuild the zoo. All zoo employees have returned; the US military is paying them until the interim government stands up. Veterinarians from around the world are coming into Baghdad to help the Iraqi docs. The 10th and 94th Engineer battalions sent welders, plumbers, carpenters and earthmovers to the zoo to help rebuild the cages and take down some of the trees felled by the fighting. The American Zoo and Aquarium Association (AZA) joined a coalition of animal welfare groups to make a full assessment of the situation and will make recommendations to provide for the health and welfare of the animals until stability returns to the Baghdad Zoo and surrounding areas. The coalition consists of the Thula Thula Reserve in South Africa, logistics and animal experts attached to the South African office of the International Fund for Animal Welfare (IFAW), Mr. Stephan Bognar of Wild Aid, headquartered in San Francisco, the World Society for the Protection of Animals (WSPA), as well as the AZA. The zoo reopened in July 2003, three months after the invasion. On 18 September 2003 a US soldier shot and killed a rare Bengal Tiger at the Baghdad Zoo, after a reportedly drunken soldier tried to feed it through bars in its cage only to be bitten by the Tiger. The incident occured during a party with Iraqi police after the Zoo's normal business hours. A US military spokesman confirmed that a coalition soldier shot and killed the Bengal tiger but gave no further details. A group of US soldiers in civvies arrived at the zoo to party, armed with guns and beer. Mendouh the tiger was shot in the head three times after injuring a soldier who was trying to feed it through the bars of its cage. Head keeper Adil Salman Musa said: "The tiger bit his finger off and clawed his arm. So his colleague took a gun and shot the tiger." 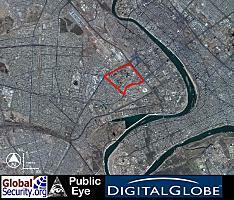 Nima Reference map of West Baghdad DigitalGlobe imagery of west Baghdad as of 3 November 2002. The Baghdad Zoo is highlighted in red. 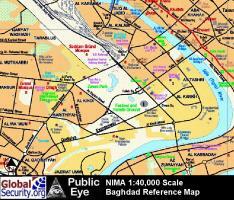 Overview of the Baghdad Zoo as of 27 March 2003 The Baghdad zoological Garden as of 27 March 2003. A 3rd Infantry Division soldier examines Uday Hussein's cheetahs at the Baghdad Zoo. 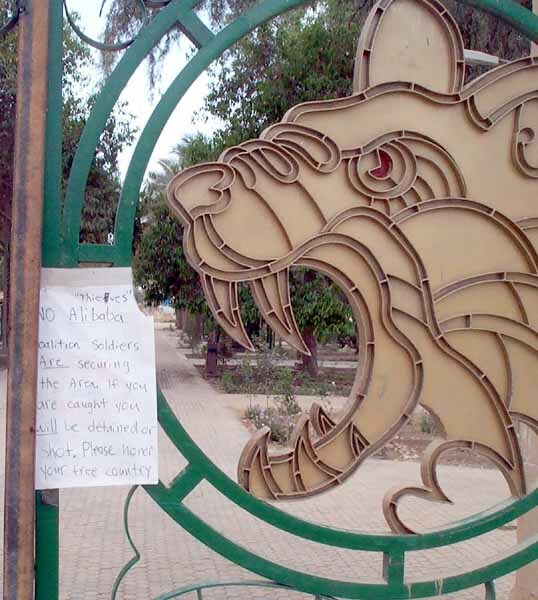 A note warns looters that the Baghdad Zoo is under coalition protection.